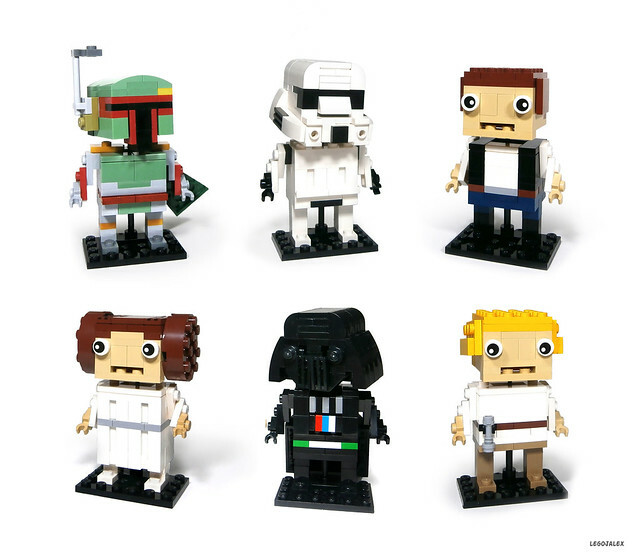 This six-pack of Star Wars characters by LegoJalex is the perfect mashup of two highly collectible things: LEGO and bobbleheads. All of the characters are wonderfully chibi, and they very nicely recreate the originals despite their simplicity. And of course, all the figures really bobble, using a brilliantly simple mechanism. Check out the video to see them in action.